Will Wii U see breakout success in the new year? The Wii U may not have outsold its predecessor during the 2012 holiday season, but Nintendo still seems quite pleased with the new console's performance. Speaking with Reuters, Nintendo President Satoru Iwata said, "At the end of the Christmas season, it wasn't as though stores in the U.S. had no Wii U left in stock, as it was when Wii was first sold in that popular boom. But sales are not bad, and I feel it's selling steadily." Iwata did not add a sales figure to his statement, making it unclear what constitutes steady sales for the system. The Wii U moved 400,000 systems in its first week in the U.S., while data provided by Japanese magazine publisher Enterbrain says that it sold 638,339 consoles Dec. 8 - 30 in Japan. However, it does not match the Wii's 2006 launch, which sold 600,000 units in just eight days. According to Iwata, one of Nintendo's chief difficulties with Wii U was selling multiple models at launch. "It was the first time Nintendo released two models of the game console at the same time... and I believe there was a challenge with balancing this," Iwata said. "Specifically, inventory levels for the premium, deluxe package [we're] unbalanced as many people wanted that version and couldn't find it." The Wii U deluxe package included the game Nintendo Land and a 32GB hard drive, compared to the basic package with no pack-in game and an 8GB hard drive. 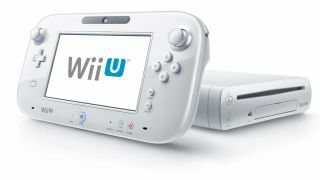 The Wii U also had difficulties due to a required patch to install any of its online features. Nintendo later apologized for the patch, and asked parents buying a Wii U as a Christmas present to install the patch before wrapping the Wii U as a gift. Nintendo's original outlook for the Wii U was to reach 5.5 million systems sold by the end of March 2013. Games will be the deciding factor, as the console's sales will rise once there are more games to play on it. However, Nintendo's biggest upcoming Wii U game, Pikmin 3, was recently pushed back to release during the second quarter of 2013 beginning in April. Wii U might not be in trouble in the long run, but it will certainly be a stretch for Nintendo to reach its March system sales goal.